According to the National Institute of Deafness and Other Communication Disorders (NIDCD), approximately 8 percent of school-aged children have difficulty developing and using language. 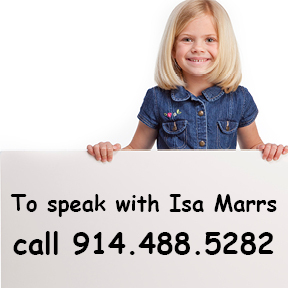 The NIDCD also reports that 10 percent of children entering the first grade have moderate to severe speech disorders. Communication is at the core of who we are and how we experience life, and thus such disorders can be devastating to a developing child both academically and socially. There are critical distinctions between speech and language. Language can be broken into two areas: receptive language, which is the ability to understand what is being said, and expressive language, which is the ability to put words together into cohesive thoughts in order to express ideas. Speech is the actual sounds we make and the voice we use. Speech disorders include but are not limited to stuttering, vocal nodules, and a variety of articulation disorders. According to the American Speech and Hearing Association (ASHA), articulation disorders constitute three out of five of all speech and language disorders, and are the most prevalent communication disability diagnosed in preschool and school-aged children. An articulation disorder may be functional, meaning that is has no known cause, or it may be organic, meaning that it has a specific anatomical, physiological, or neurological cause. Severity of the disorders can range from mild to severe. A mild articulation error is the incorrect production of a specific sound, while a severe articulation disorder, such as apraxia (motor planning deficit), may result in unintelligible speech and an inability to put sounds together to form words. Most children have some developmental articulation errors when they are learning to talk, but by the age of three, they should be easily understood by most listeners. If this is not the case, speech therapy may be warranted. Because sound production may be distorted as soon as a child begins to vocalize, children can be screened or evaluated for speech delays and disorders at any age. Parents should err on the side of caution as early detection and treatment yields excellent results. Children with articulation disorders that are left unresolved are also at risk for reading and writing disabilities, so a wait-and-see attitude is not advisable. According to ASHA’s National Outcomes Measurement System (NOMS), 70 percent of preschool-aged children who received speech therapy exhibited improved intelligibility and communication functioning. Approximately one half of the children who were unintelligible when treatment began progressed to a level where they were understandable to all listeners. The study also indicated that the amount of therapy provided had an impact on outcome; the children who achieved intelligible speech received about twice as much therapy as the children who remained unintelligible. Babbling should begin in this range. Reduplicated babbling is the repetition of a syllable several times, such as “ba ba ba ba”. Babies are now able to make several in one breath and will attempt to imitate adult sounds. Babbling is a baby’s way of practicing sounds and oral motor skills that are required during actual speech. Babies who are not babbling should be evaluated, as children with speech disorders have been found not to babble as babies. This is when children should be learning words rapidly. Their speech may consist of developmental errors in which they are simplifying words that are difficult to say by substituting easier sounds or omitting a sound altogether. Children should be using most of these sounds: b, m, p, n, t, d, k, g, f, ng, and s. Their ability to speak clearly should improve daily as they figure out how to use sound combinations. Distortions of sounds are not typical and children with “different” sound productions should be evaluated. 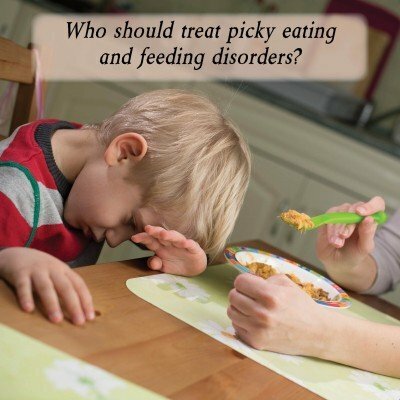 For example, if a child appears to be “snorting” sounds, or if sound quality is overly slushy or hoarse, these are red flags of a possible speech disorder. By the age of 4, children should be using more difficult sounds such as l, r, sh, ch, y, v, z, dg, and th. Some children will have more difficulty learning these sounds than others, so their overall intelligibility should determine whether an evaluation is warranted. If a child is frustrated or unable to communicate with a variety of people (extended family, peers, teachers) there may be a delay or disorder. The way we sound is an important part of who we are, how we see ourselves, and how we are viewed by others. While articulation disorders are the most prevalent communication disabilities diagnosed in preschool and school-aged children, they are treatable in the majority of cases. And the earlier a speech disorder is diagnosed and treated, the better the prognosis and the less likely the condition will have negative effects on the child’s educational and social development. Every child deserves a chance to speak clearly and to be understood. Previous post: Do you take health insurance?